Just for a moment, close your eyes and imagine a winding stream flowing softly over the rocks, through small crevasses, cascading in gentle waterfalls, listen for the soothing sound of the water . . . relax. If you live in the Raleigh, Durham, Cary, or Chapel Hill North Carolina (NC) areas you don’t need to just imagine it. It could be yours to savor each and every day, in your own yard, in your own special place. We welcome you to our wonderful world of water gardens – a world of nature, peace and imagination. Come with us now on a journey through our website, as we share our state-of-the-art products and the creative talents of our designers at American Aquascapes. 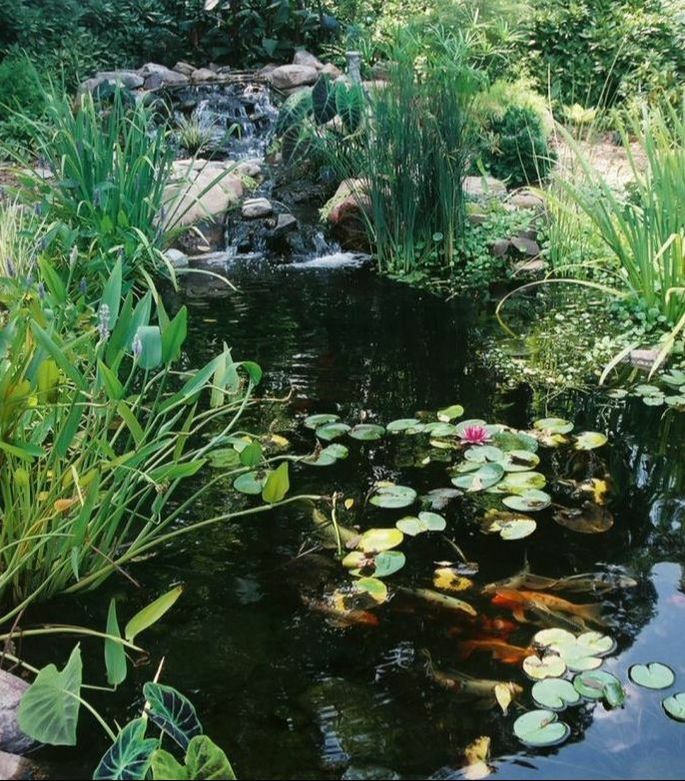 Here at American Aquascapes we take great pride in involving our customer’s dreams and our company’s expertise to create the ultimate back yard paradise. Founded in 1996, American Aquascapes is an award-winning, professional pond service business. 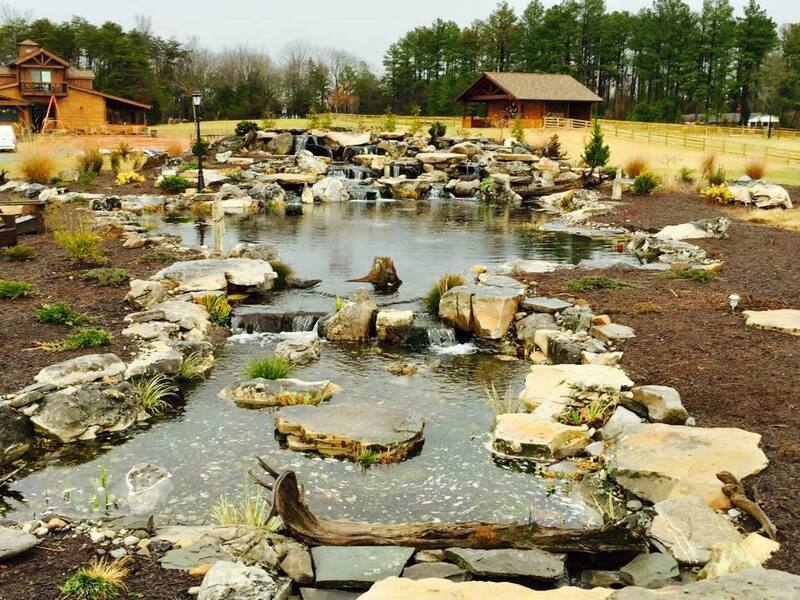 Located in Graham, North Carolina we have provided Raleigh, Durham, Cary, or Chapel Hill North Carolina (NC) area homeowners with affordable water feature designs, construction, maintenance, and repairs. We design one of a kind water features, using a collection of the most elegant stone available today with certified state-of-the-art products and the creative talents of our designers at American Aquascapes.